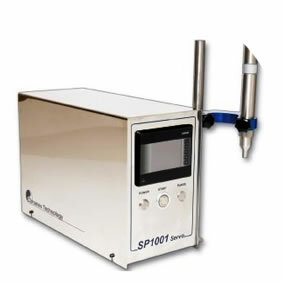 Built around the very latest servo technology, the SP1001 delivers superb performance in speed, accuracy and reliability. Primarily a bench/tabletop machine, it also boasts the ability to run as a fully automatic inline machine when coupled with our conveyor and gating system. As a single head semi - automatic bottle filling machine this is our most cost effective line. It is the perfect asset to any production floor whether it be assisting a startup business within the industry or an already existing business looking to boost production and profits.